April 16 marks a decade since second deadliest school shooting in U.S. history. On the morning of April 16, 2007, 32 people died at the hands of a mass shooter at Virginia Polytechnic Institute and State University in Blacksburg. With the 10-year anniversary of the second deadliest school shooting in U.S. history days away, two people who survived the assault in Norris Hall classroom 211 recounted that day to ABC News, while two families of victims who died shared how they're remembering their loved ones. With his parents working in international development, Colin Goddard lived all over the world as a child and graduated high school in Cairo, Egypt. In 2007, Goddard was in his fourth year pursuing an international relations degree at Virginia Tech. "I was the average 21-year-old college student enjoying life downtown," Goddard told ABC News recently. "The weekend before [the shooting] was my fraternity formals in West Virginia, so I had a great time with all of my brothers." Goddard left his off-campus apartment that Monday and picked up classmate Kristina Heeger before heading to their 9 a.m. French class in room 211 in Norris Hall. "We were debating in the parking lot whether we skip and have breakfast or go," Goddard said. "It was close to the end of the year and we figured, you know, we should go." Goddard arrived five minutes late to his French class instructed by professor Jocelyne Couture-Nowak. Goddard recalled fellow classmate Rachel Hill’s arriving to class at 9:30 a.m., explaining she was late because of a shooting that occurred in her dorm that morning. "All of us were kind of shocked, so we assumed that they [officials] let Rachel go, that things were OK and we continued with class," Goddard said. Moments later, the class heard what Goddard described as "bangs." Professor Couture-Nowak looked outside the classroom door and slammed it shut before telling the students to get under the desks and call 911, Goddard recalled. "For the first time in my life, I called 911 from my phone and heard a woman's voice and tried to explain to her that I thought there was someone at our school shooting a gun," Goddard said. “During the course of my explanation at that time, the gunman was trying to come in. It was the most scared I've ever been in my life. I don't remember having the thought of, 'I'm going to die.' All I can remember thinking was, 'I just can't believe that this is real.'" (Charles Ommanney/Getty Images) Virginia Tech student Colin Goddard lies in his hospital bed on April 19, 2007 in Blacksburg, Va. Colin was shot three times and was featured in newspapers around the world after being photographed being carried out of Norris Hall, April 16, 2007 in Blacksburg, Va. The shooter re-entered the classroom multiple times and turned down Goddard's row of desks. Goddard suffered a total of four gunshot wounds. "After that last shot to the right shoulder, you could hear the police on the scene," Goddard said. "I threw the phone, trying to act natural with the bullet. The phone stayed open and landed next to Emily's head and she remained on the line with the dispatcher." 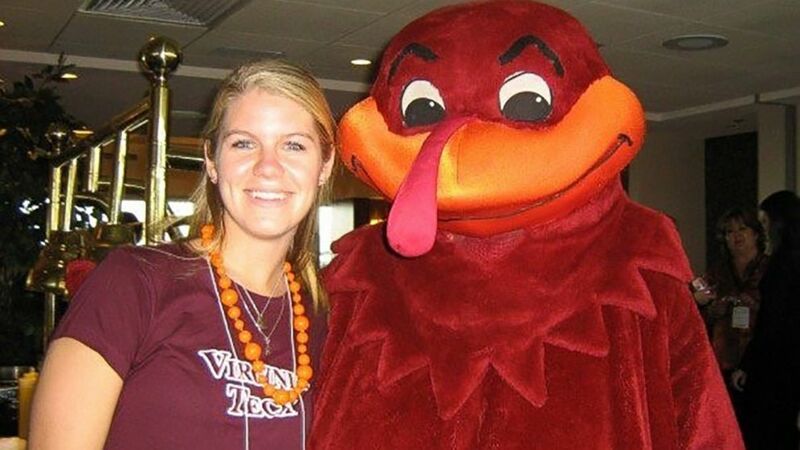 Emily Haas was a 19-year-old sophomore majoring in business at the time of the Virginia Tech shooting. Haas was huddled underneath her desk when two shots grazed her head. Although she was injured, Haas picked up Goddard's cellphone and remained on the line with emergency personnel. "When the shooting was over, the 911 operator told me the police couldn't get into my room, and asked if I could open the door," Haas wrote to ABC News recently via email. "After that, the police led me out of the building. I think one or two others were able to walk out of the room on their own, but the rest could not." 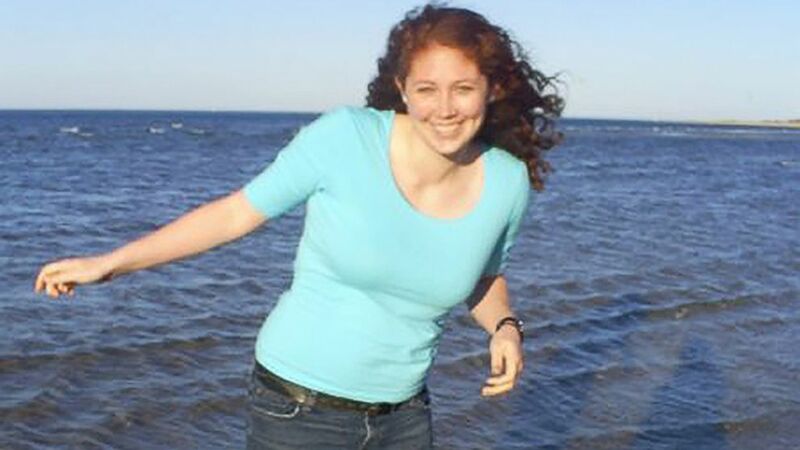 (Emily Haas ) Emily Haas was a 19-year-old sophomore majoring in business when she survived the Virginia Tech shooting. Eleven students in room 211, as well as professor Couture-Nowak, died. It was the last classroom out of the several attacked that day. The gunman – senior Seung-Hui Cho - took his own life inside the classroom. A total of 30 people died after the Norris Hall attack. Two other students died earlier that morning inside a campus dormitory, West Ambler Johnston Hall. Haas, now 29, teaches high school French, is married and has a toddler daughter. She returned to Virginia Tech to pursue her degree after a short leave of absence. While she seldom shares her story, Haas said her message is to always be kind to others. “Because you never know what someone else is going through or what they're struggling with," she said. "And if you think someone is suffering, try to get them help. We now know the shooter was really struggling with mental illness, and I think this [and many other] tragedies could be prevented if he'd had the help he so obviously needed." (Emily Haas ) Emily Haas, now 29, teaches high school French, is married and has a toddler daughter. Colin Goddard, now 31, also completed his degree at Virginia Tech. "Everyone thought I would transfer," he said. "I started at Virginia Tech and I had to finish it there. I think it was also a sense of not wanting him [the shooter] to knock me off my path. The school was incredibly helpful afterwards and that's where my friends were. My whole life was there. "But it was hard," Goddard continued. "Being in that classroom setting, when a student would bust in the classroom, I would freak out. Still to this day, I think about, 'If something goes down, How do I get out?’"
Goddard is pursuing an MBA at the University of Maryland and is an advocate to stop gun violence. He received a fellowship from the Everytown for Gun Safety organization and volunteered at the Brady Campaign to Prevent Gun Violence, where he met his wife with whom he now has a 9-month-old child. He continues to lobby for laws enforcing background checks on people purchasing fire arms, he said. 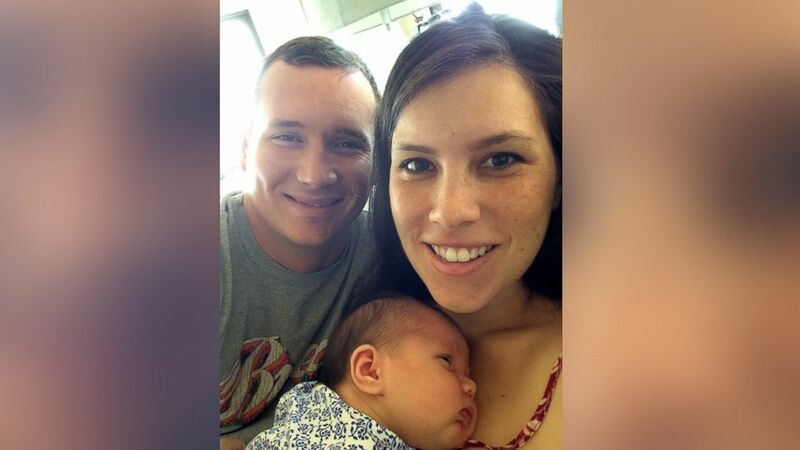 (Colin Goddard) Colin Goddard, now 31, seen in an undated photo with his wife, Gabriella and their child. "I met a great woman and had a family through this tragedy," Goddard said. "I would've done everything I could've to not be in that classroom that day, but life gives you the cards and you have to do something with them. We as individuals don't need to be defined by those uncontrollable events. "I think what a better definition of who we are is what we choose to do after -- how we remember, how we choose to learn and how we go forward," he added. "For some it was advocacy, for others it was education programs, others it was memorials and scholarships and a legacy. I think that helps everyone in the process of grief and recovery." 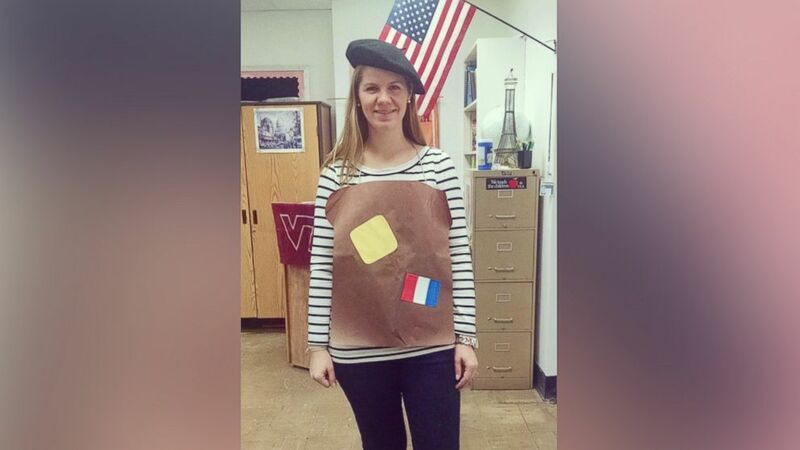 Austin Cloyd, an international relations and French major, was two weeks shy of her 19th birthday when she died in her room 211 French class in Virginia Tech's Norris Hall. Austin was an A-student, a children's lifeguard, an officer in the International Relations Organization, an active participant in model United Nations conferences and passionate about social justice issues. (The Cloyd Family) Austin Cloyd seen in an undated photo with her parents, Bryan and Renee Cloyd. Austin's father, Bryan Cloyd, agreed. "I think she was going places," he said. "She was active and involved in sports and clubs at school and service projects outside of the school. A very, highly motivated intelligent person and I think well-balanced too. [She had] a good heart, and was pursuing things that had a lot of value to society. "The last day I spent with her, it was the Friday before [the shooting]," he added. "We had been building a home on the mountain and we had to build a road to the home ... we were a couple of weeks into that when Austin, my son and I hiked up the road. That was the last time the three of us were together. I don't recall lots of things but I do recall hiking back up a few weeks later and a butterfly was there, sort of following me up." In 2007, Bryan Cloyd worked as an accounting professor teaching at Virginia Tech. On April 16, Bryan Cloyd was in his office preparing for his class the next day when he heard news of the shooting and lockdown on campus. He and his wife called Austin on her cellphone, but she wasn't answering, Bryan Cloyd recalled. The two parents went to a nearby hotel where families looking for loved ones were instructed to go. "We sort of hoped, 'That's where we'll find Austin,'" Bryan Cloyd said. "Somewhere in that foggy aftermath, we sort of began to lose hope. The next day, it was actually confirmed." When asked what he misses most about his daughter, Bryan Cloyd replied, "Everything." "I don't think I can say one particular thing," he said. "Your future kind of goes away when your kids go away. One of the good things that Renee and I decided pretty early on was that we were going to focus on trying to help the students at Tech heal by engaging them in the same sorts of service activities that Austin found meaningful." Throughout high school, Austin volunteered with the Appalachia Service Project home repair ministry fixing up houses for low-income families. 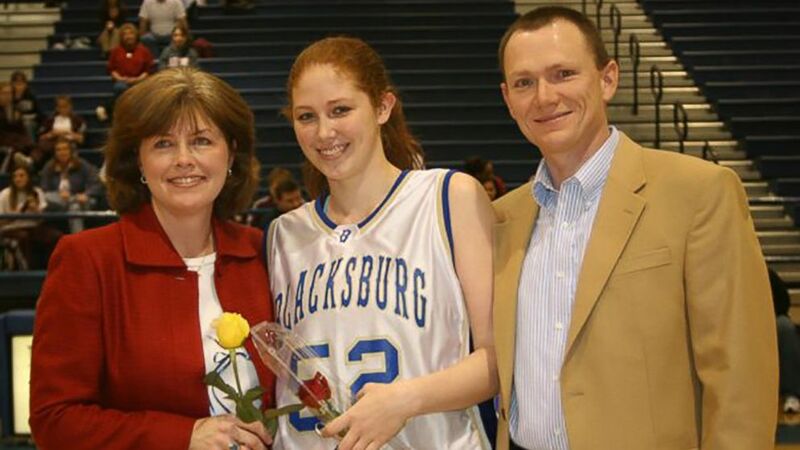 (The Cloyd Family) Austin Cloyd, an international relations and French major, was 18 when she died in her room 211 French class in Virginia Tech's Norris Hall during the April 16, 2007 shooting. After the Virginia Tech attack, Bryan and Renee Cloyd accompanied students through the Appalachia Service Project at Virginia Tech (ASP-VT), which Renee helped launch. The Cloyds also started the Austin Michelle Cloyd Fellowship for Social Justice, which provides financial support to a chosen honors student who proposes a service-oriented activity. This year, the 10th fellow will be awarded. Prior to Virginia Tech, Austin attended Centennial High School in Champaign, Illinois. Her friends there started "Austin's Day," which will commence for the 10th time April 29 with volunteers’ performing a full day of community service in her honor. "People have told us time and again how inspiring Austin's story is and, even now, how she was able to make a difference in this world," Renee Cloyd said. "They are doing things in social justice with her inspiration behind it." 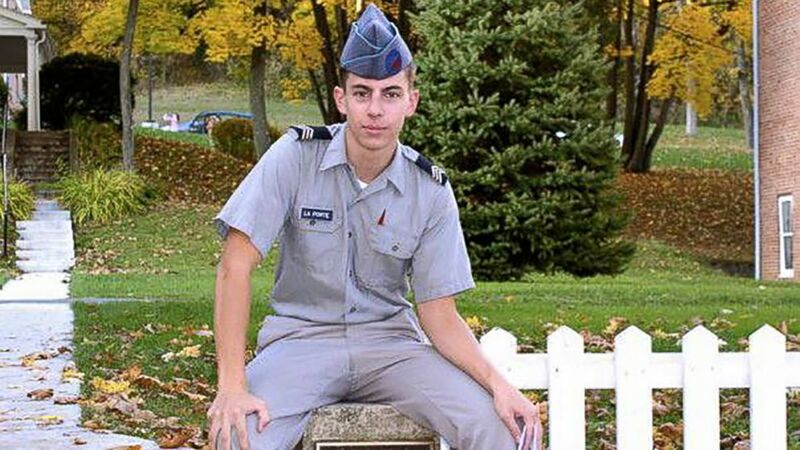 Matthew La Porte was a 20-year-old political science major who had military aspirations. He attended high school at Carson Long Military Academy in Bloomfield, Pennsylvania, before being accepted to Virginia Tech and entering the Air Force ROTC. Prior to his death, Matthew’s mother, Barbara La Porte, recalls his calling her up to tell her he had passed a physical endurance test for the Air Force. (Pebbies Comolli/Carson Long Military Academy ) Matthew La Porte, 20, was killed in room 211 after suffering 7 gunshot wounds. La Porte learned of the shooting on campus that day through news coverage. Later that evening, Dumont police officers delivered the news to La Porte that her son had been killed after suffering seven gunshot wounds. "Some people may be hysterical, but I was just numb," La Porte said. "My daughter, the next week or two, she had her prom. She was going to be graduating from high school [but] she couldn't go to school. ... I guess they just took the marks she had at that point and that was it. When she was ready, she went back. They were very kind to her. My husband, he was working, so he went to work. I went back to work but then I had to stop because I guess it all caught up with me, the emotion of it all. "You think you're going to be able to support and help each other but when the three of you are closely affected, it's hard." 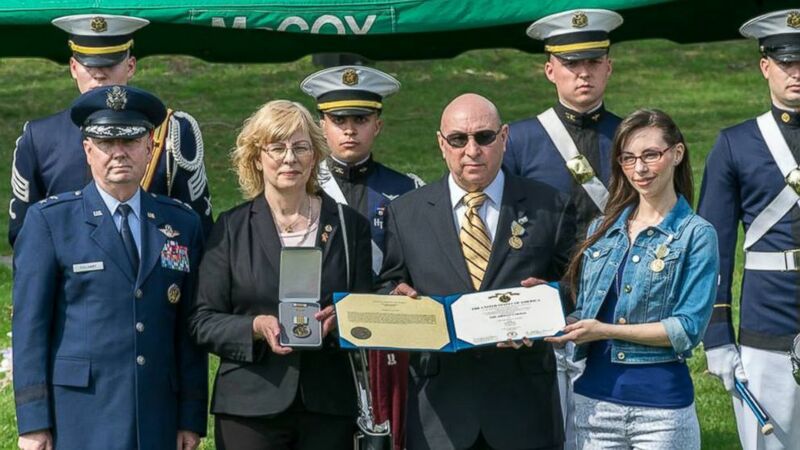 On April 9, 2015, Matthew was posthumously honored with the Airman’s Medal. His family accepted the award given by the Air Force for his heroism for saving lives in his classroom that day. It took one of Matthew's advisers, an Air Force retiree, eight years to have Matthew's actions investigated and the award approved. Criteria for the award called for eyewitnesses’ testifying on behalf of Matthew's actions and forensic evidence supporting the location Matthew's body was found at the crime scene, and in relation to the shooter, La Porte said. "Matthew was trying to secure the door so the shooter couldn't come in," La Porte said. "He fell with his arms out stretched towards the door." The medal is the highest honor one can receive without involving actual combat, La Porte said. (Virginia Tech Corps of Cadets) On April 9, 2015, Matthew La Porte was posthumously honored with the Airman's Medal for his heroism. The award was accepted by his family. The award was presented at Matthew's graveside. Virginia Tech's administration, the Corps of Cadets and Matthew's friends and family were all in attendance. "What was amazing was all the people that came in the different stages of Matthew's life," La Porte said. "They're Hokies down at Virginia Tech and I said, 'The Hokie stands for Heart of Kindness Invalidates Evil.' Because to me, what I see is that Matthew didn't lose that day. He saved lives and he also inspired me to reach out to others and be a better person in knowing that I am not going to find Matthew by going back, but by going forward." Barbara La Porte is involved with the VTV Family Outreach Foundation, a nonprofit formed by the families and survivors affected by the 2007 shootings at Virginia Tech. Determined to prevent another tragedy, VTV advocates for stronger school safety. La Porte advocates for the National Instant Criminal Background Check System (NICS), through "Campaign 32." "We feel if the shooter at Virginia Tech was in this background check, he may not have been able to obtain a gun," La Porte said. "We are hoping that people who are deemed to be a danger will be in this background check system and won’t be able to obtain guns." La Porte said she and her family will hold on to Matthew's memory through the sacrifice he made. "His legacy is to do what was right and often it's not easy to do; it's easier to walk away," she said. "I miss him, but I don't think he had any other options. I don't think he could've ran away or did nothing. That wasn't the type of person he was. I think he knew the only way was to go forward and I find that very inspiring. "I am just blessed and thankful that Matthew was there," La Porte added. "There was a Matthew and there will always be a Matthew. I think it was [Gen. George] Patton that said we don't mourn the loss of the soldiers that passed, we are just thankful that they lived." All the classroom spaces where people were shot April 16, 2007, have been completely renovated in the past 10 years, a spokesman at Virginia Tech wrote to ABC News. The West Amber Johnston dormitory was closed for two years and the entire residence hall was gutted and renovated. The wing in Norris Hall was "gutted to stud" and completely renovated. This space is where the school's Center for Peace Studies and Violence Prevention is now located. 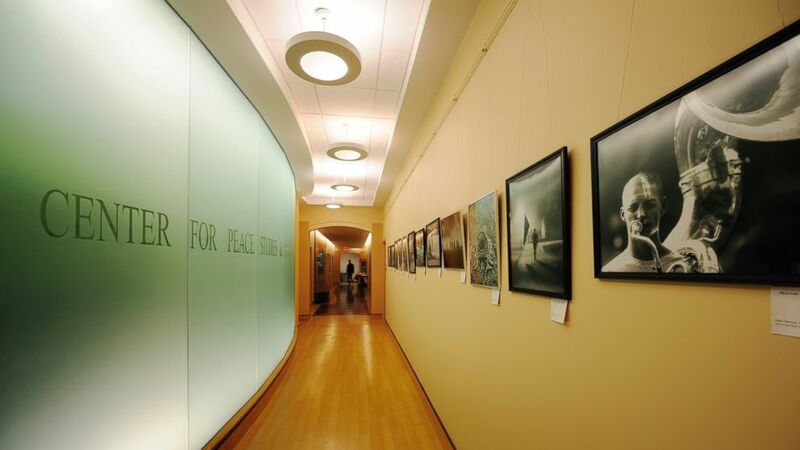 (Virginia Tech ) All the classroom spaces where lives were lost on April 16, 2007 have been completely renovated in the past 10 years since the shooting at Virginia Tech. Sunday will mark the 10th year since the tragedy at Virginia Tech. To commemorate the 32 students and faculty members who died, the school invited loved ones and community members to campus beginning Friday for "Day of Remembrance Events." For three days, Virginia Tech will host various activities including a 3.2-mile run, a community picnic and candlelit vigil. The weekend will close Easter Sunday at 11:59 p.m. with the extinguishing of the ceremonial candle. Members of the Virginia Tech Corps of Cadets will stand guard for 32 minutes prior to the extinguishing.